Our brief was to promote Antigua and Barbuda and everything they have to offer. From their 365 beaches, to their island life, to their celebrations happening in 2017 and to their locals, we wanted to highlight to listeners that there was something for everyone in Antigua. Our route to success was working with Jazz FM and offering. Antigua and Barbuda the opportunity to sponsor the Drivetime show for 8 weeks. Sponsorship included on air trails, sponsor credits, a competition to give away a holiday to Antigua and also a live broadcast for a week of the drive time show from Antigua. The on air trails started weeks 1-4 with the promotion of the competition too. 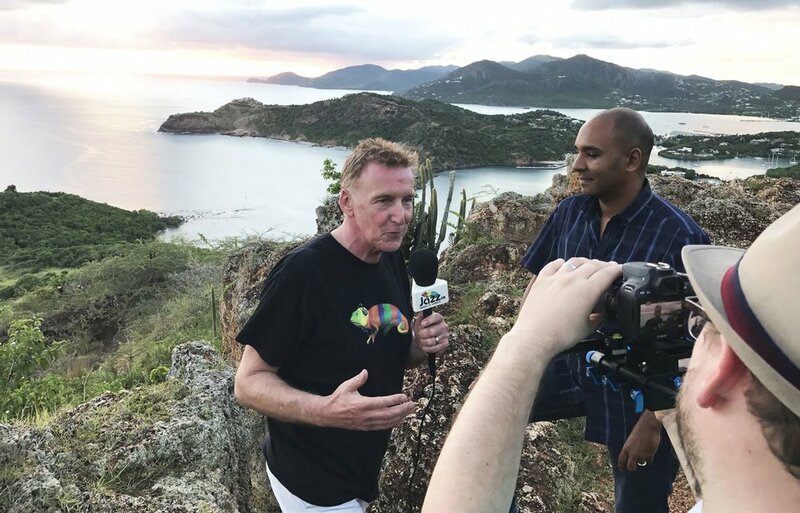 Presenters on Jazz directed their listeners to the website to enter the competition and trailed that the drive-time show was going to be coming live from the island weekly. Week 5 was live in Antigua. A week where we got to sample everything Antigua had to offer. The week consisted of absolutely everything you could do on the island including Shirley’s heights where you can watch sunset from thousands of feet up, to swimming with Stingrays to the history and culture of the island. We also spoke to the locals and Brits who made a name on the island. The whole 4 hour show Monday to Friday included various interviews and every link talked about Antigua. The competition was also heavily promoted on air too. Jazz not only produced their show all week from there but also online content which was on their website and Facebook page daily of all the interviews. Week 6-8 was talking about everything that happened in Antigua and more promotion of the competition. The competition had over 10,000 entries of the competition via the Jazz FM website with 3,500 opt ins.